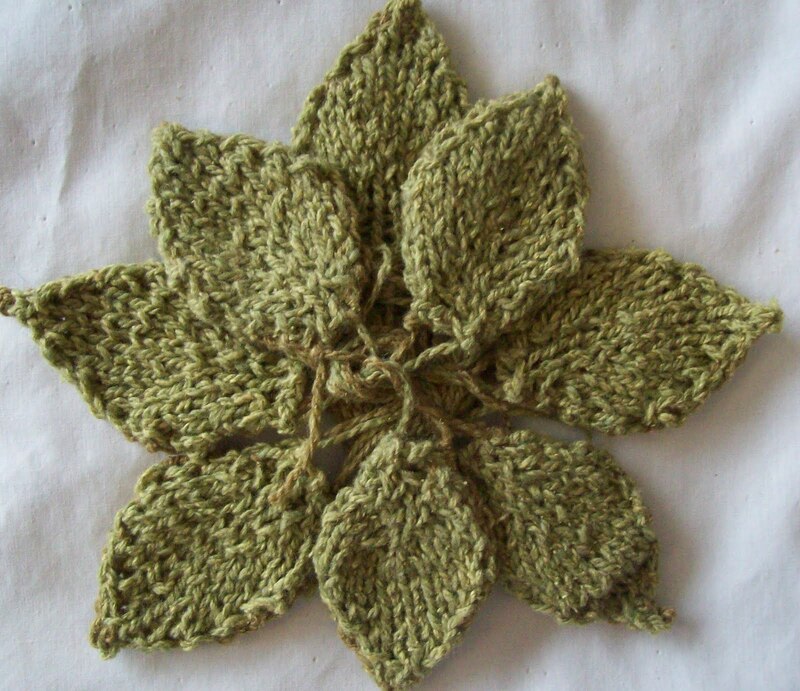 Eight little leaves knit and sewn together-- and now numbers 9, 10, and 11—all slightly larger, knit too. Each leaf is a pair (one light, one medium green) and each as a mess of tails. 2 are left over from sewing the halves together—2 are from the self-yarn EZ style provisional cast on. My terrace might be clear and plant free for the next few months—but I am leafing out fine! That's it, got to go! 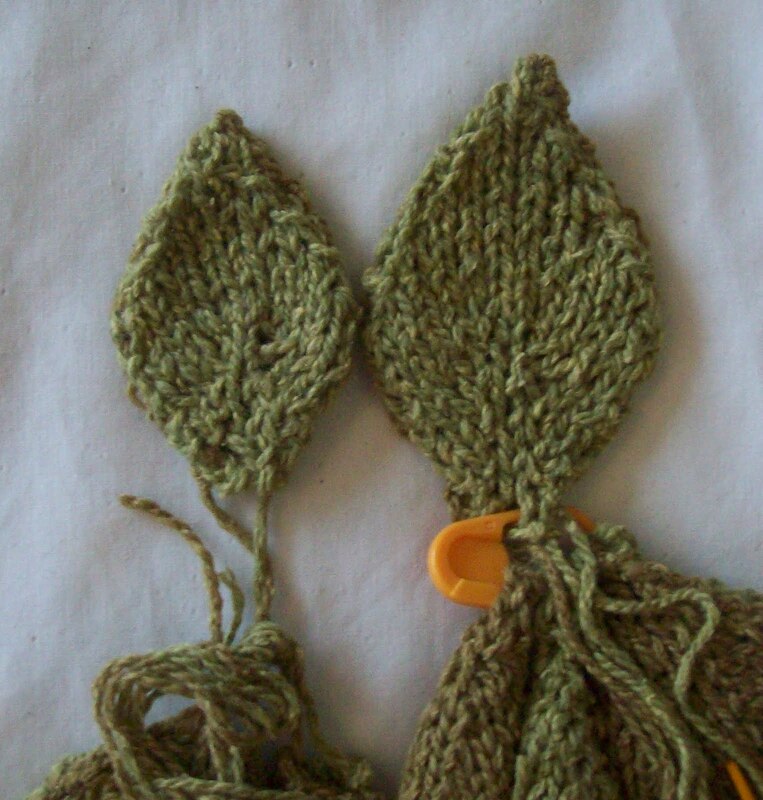 Is it the beginnings of a hat? Whoa! How do you do that? ?